Jason Fenwick was appointed City Controller/Deputy Mayor for the City of Lawrence January 1, 2016. 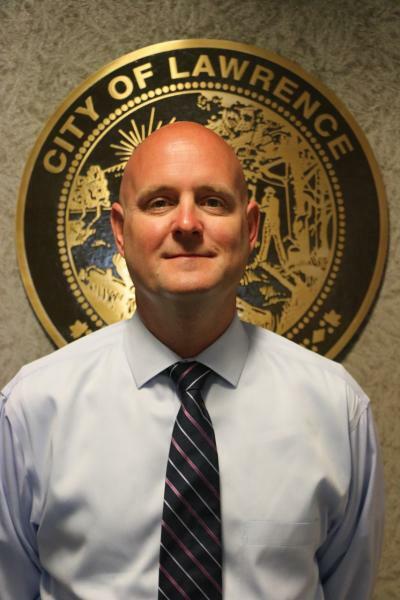 As City Controller, Fenwick is the City’s Chief Financial Officer, where he is responsible for the financial management of the City, which includes producing the annual budget for the civil city and its utilities, which total approximately $45 million. Fenwick was previously the City Controller for the City of Anderson from 2013 to 2015. Prior to joining the staff of the City, he spent approximately 15 years in Investment Banking, where he structured over $15 billion in public financing for power and utility companies across the country. Fenwick spent almost half his career with J.P.Morgan Securities as Vice President and then joined KeyBanc Capital Markets Inc. as Managing Director, both based in Chicago. Prior to investment banking, he worked for the City of Indianapolis in varying financial positions, including Chief Financial Officer for the Department of Public Safety and Deputy Controller. Fenwick earned his BS degree in Mathematics from Indiana University and an MBA in Finance from Indiana University Kelley School of Business.